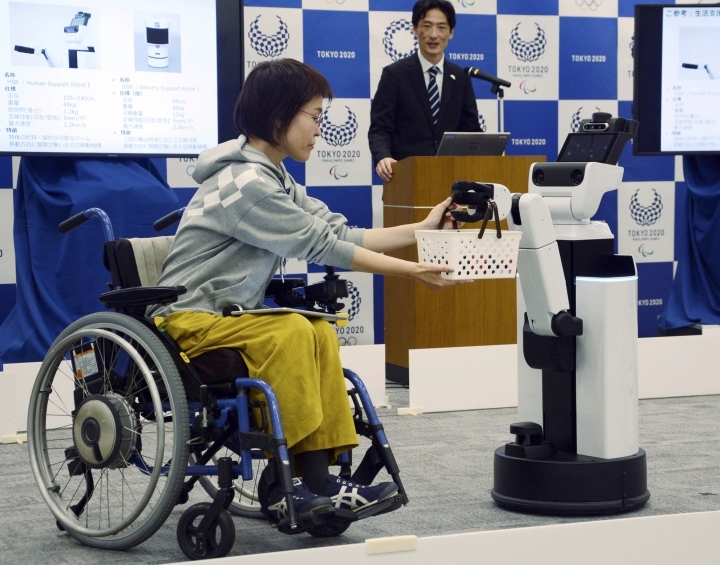 TOKYO — Tokyo's Olympics may become known as the "Robot Games." Not to be outdone, Panasonic Corp.— also a major Olympic sponsor — showed off its "power assist suit." When worn, the suit offers support to the back and hip area and allows for heavy objects to be lifted with less effort. 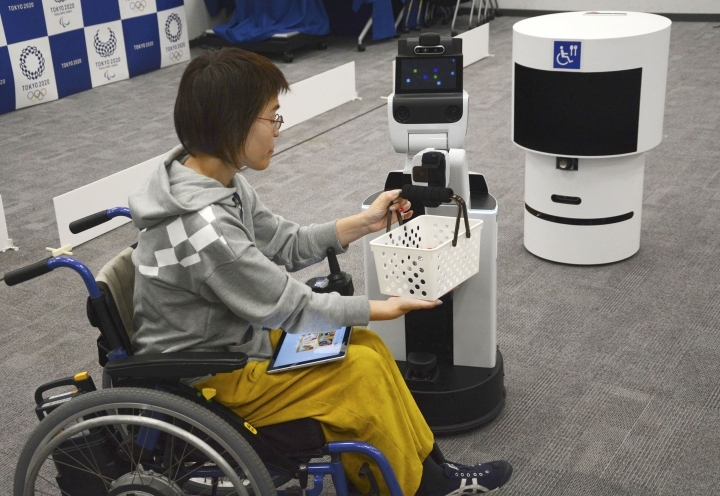 Panasonic said 20 of the suits will be used at the Olympics and could help guests with their luggage and with other lifting chores.